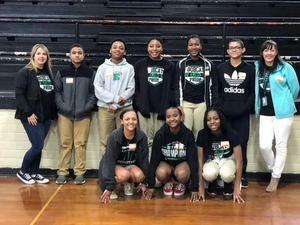 Eunice Junior High School sent two Math Competition teams to the OJHS competition on Saturday, February 9th. The 7th grade team led by Mrs. Tiffany Pedigo placed 1st in the team competition and the 8th grade team led by Mrs. Jackie Oberste placed 3rd. Congratulations to each team and their sponsors for these great accomplishments! 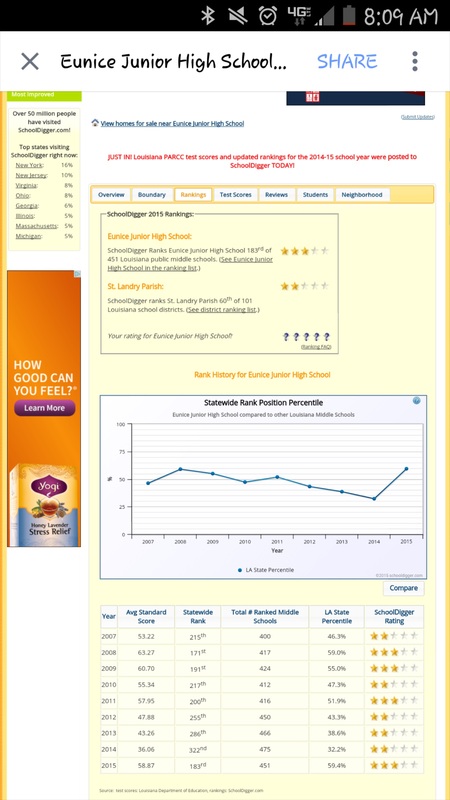 We would like to commend the Math Department at Eunice Junior High School for their positive impact on instruction. Pictured L to R: Tiffany Pedigo- 7th grade Math teacher, Jackie Oberste- 8th grade Math teacher, and Lauren Brown- 7th grade Math teacher. It is with great pleasure that we announce EJHS has been named the November 2018 PBIS School of the Month for SLP Secondary schools. We are exited that our students, faculty and staff have been chosen based on our outstanding efforts to reward students for their positive behavior across the campus. 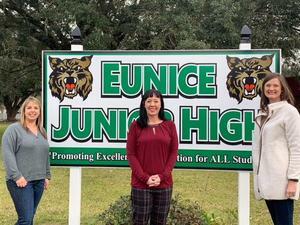 On behalf of Principal Dwanetta Scott, the faculty/staff and student body of Eunice Junior High School we would like to send our unending support to the EHS Battling Bobcats along with the coaching staff at Eunice High School. 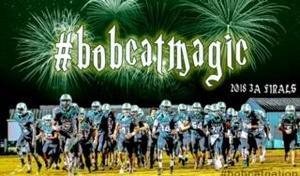 Coach Trosclair, we are behind you 100%. All Eunice schools will observe an early dismissal on Friday, December 7th. EJHS/EHS will dismiss at 11am all other Eunice schools will dismiss at 11:30am. Students will be dismissed at 11:45. 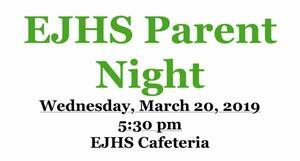 2 Current proofs of residency (in the parent's or legal guardian's name) will be required. Summer 2018 reading list for St. Landry Parish students.